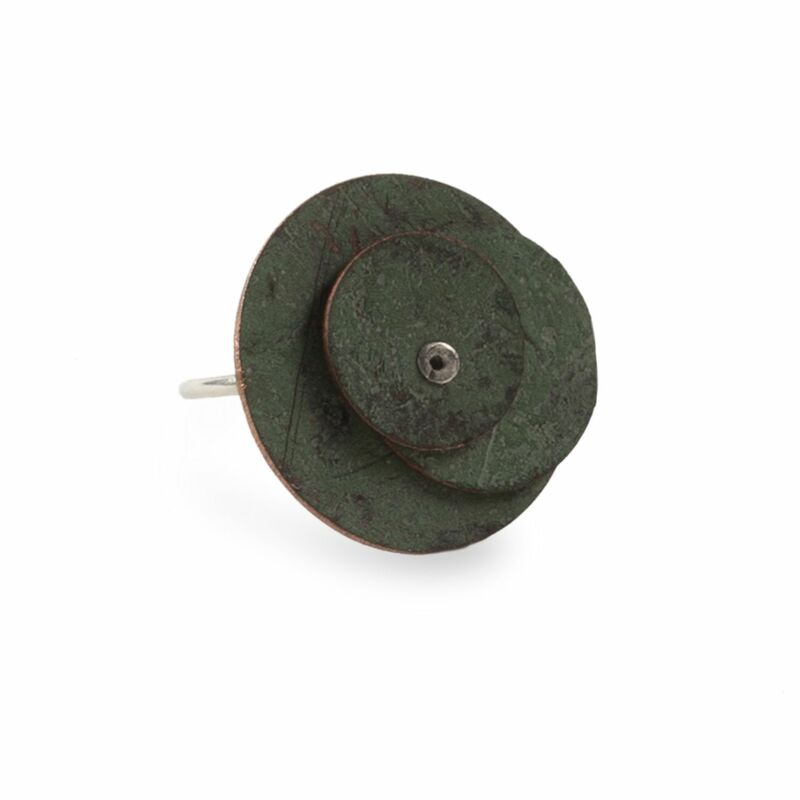 This ring is made of three rich green copper disks with a silver band. The historic copper comes from the roof of the Kansas State Capitol. Replaced in 2013, the copper was made available to the Kansas Historical Society and Kansas Historical Foundation for use in products to be sold in the Capitol Store. By Tobias Jewelry Designs of Topeka, Kansas. she graduated from the University of Kansas in 2009.
to create unique, wearable items.